"An epic presentation of miniature proportions." A Bug's Life is an animated adventure film about an outcast ant Flik. Flik lives in a colony that is ran by Princess Atta and her mother. Flik wants to have the life that he deserves and think for himself. He is an inventor and a creator. Flik finds himself in trouble because of his creative mind. The colony is raided by a gang of grasshoppers lead by Hopper. Hopper and his gang demand food, but one particular year because of Flik's harvesting invention the gang becomes greedy and want more food than they normally demand for. Flik is determined to protect the colony and gets warrior bugs that will defend the colony and run off the grasshoppers. The other ants feel as if they have tricked Filk because they want him gone. They feel that Flik with his inventions only cause trouble for the colony. Flik takes off on an adventure to find his warrior bugs and leaves the colony off for the city. The tale of stepping out of his boundaries into a land of the unknown. Flik runs into a group of circus bugs who believe Flik as a manager and agree to go back with him to the ant colony. 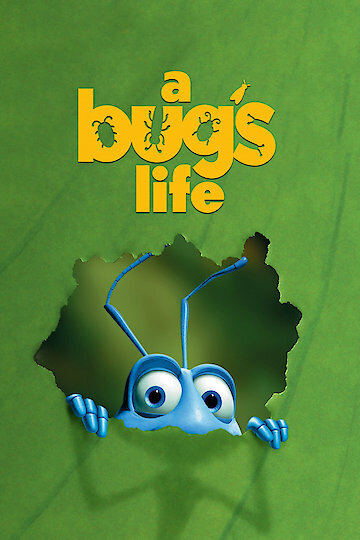 The circus bugs realize that Flik is not a manager and want to leave the colony, but they are forced to stay by a bird. The warrior bugs became just that and saved the princesses. The warrior bugs continue to act as so because they are worshiped by the ants in the colony. Flik is inspired to invent an artificial bird that will scare away Hopper. Hopper is deeply afraid of birds, and Flik attempt to use his fear to get rid of Hopper and his gang forever. The warrior bugs real boss P.T. Flea comes looking for them and wants them to come back and work for him. P.T. Flea realizes what Flik has done and exposes him to the ants. The ants are outraged and force Flik away. The ants try to gather the food for the grasshoppers but fail. In their failure Dot one of the ants goes looking for Flik and begs him to return to the colony. It looks like the plan will work but P.T. Flea burns the artificial bird and Flik is beaten by Hopper for this. Flik is not deterred and conveniences the ants in the colony that they are able to defend off the grasshoppers. Hopper however kidnaps Flik, but Atta the Queen's daughter is in pursuit of Flik and Hopper. She rescues Flik and Flik leads Hopper into a real bird's nest and he is taken by the bird and eaten by her off springs. Atta and Flik are now a couple. They say farewell to the fleas known as the warrior bugs in harmony. A Bug's Life depicts bravery, courage, and persistence eloquently arranged as a computer animated film. A Bug's Life is currently available to watch and stream, download, buy on demand at Sling, Amazon, Vudu, Google Play, FandangoNow, iTunes, YouTube VOD online.